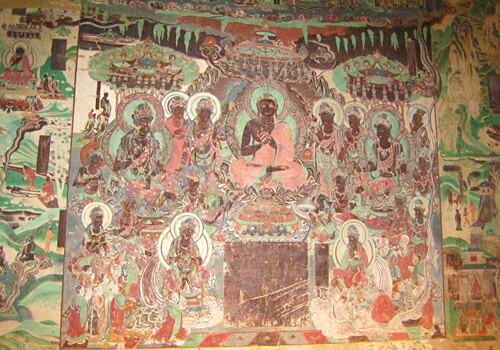 Buddhism came to China through the Silk Road, and the first contact point was in what is now Xinjiang. 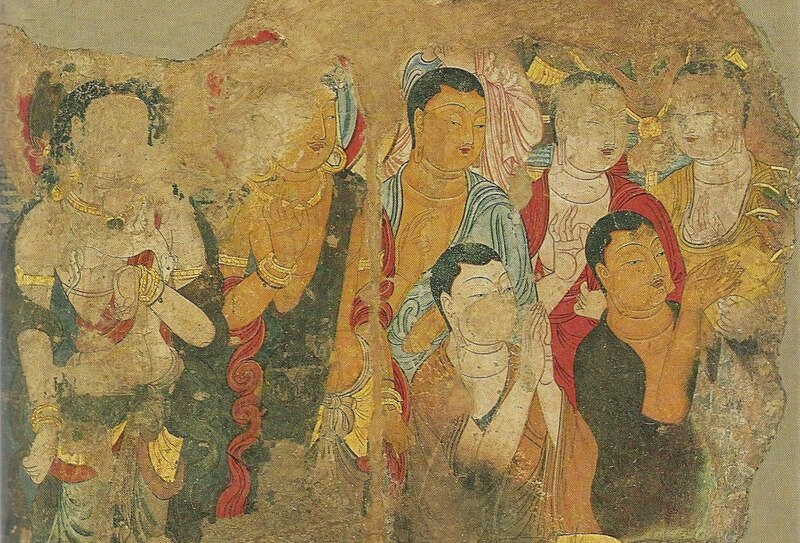 Early on the Uyghurs were Buddhists and Turpan became the centre of the religion. One of the lasting tributes to Buddhism is the Bezeklik Thousand Buddha Caves that are located at the bottom of the Flaming Mountains, 45 kilometres east of Turpan. These series of caves are quite amazing, in the middle of nowhere, much like the Mogao Grottoes, and whatever is left is quite impressive. 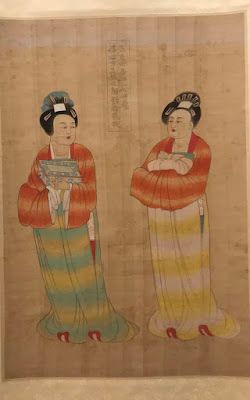 The caves were built during the Southern and Northern dynasties or the 5th century through to the Tang, Song and Yuan dynasties or 14th century. Inside the caves are beautiful murals of Buddha in the past, present and future, along with his disciples and followers painted in various styles depending on the dynasty. Some of the murals still have some vibrant colours with very intricate designs that cover every inch of space. However around the end of the 13th century Buddhist Uyghurs were converted to Islam during a holy war when the they were conquered by the Muslim Chagatai Khanate ruler Khizr Khoja. 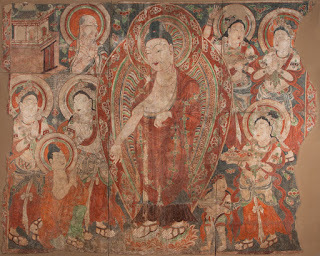 Therefore, interest in Buddhism declined, while Islam was introduced. As a result, these caves became neglected, while in subsequent centuries later robbers cut out and stole entire pieces of murals, or Muslims who were anti-Buddhist came and gouged out the eyes of and mouths of figures on the walls. 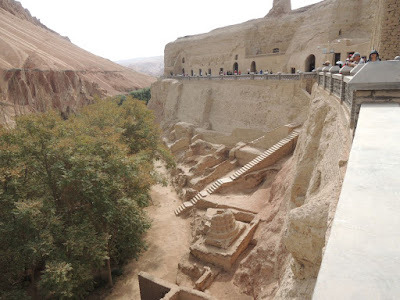 It was a pity to only see a few caves -- that are guarded nowadays by Uyghurs to ensure no one took pictures of each -- but you can see why it's so important that these caves be guarded. Strangely these caves are not considered to be good enough to be national treasures on par with Mogao Grottoes as these ones are some of the earliest known Buddhist art work dating back to the 5th century; the Mogao Grottoes date back to the 4th century. 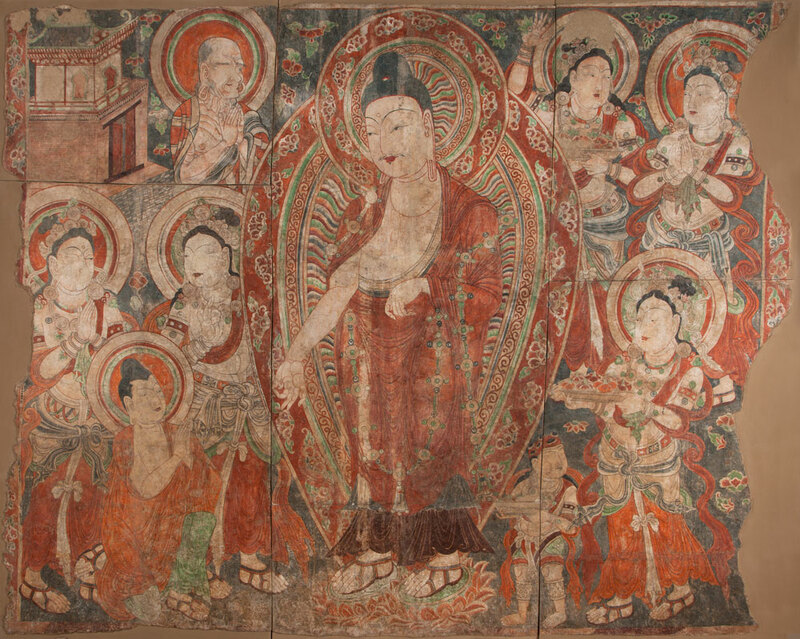 Some patches of murals can be seen in museums around the world, such as the Hermitage Museum in St Petersburg, Tokyo National Museum, the British Museum in London and national museums in Korea and India. Apparently some of the best pieces were afixed to the walls of the Museum of Ethnology in Berlin, but during World War II, they could not be removed and were thus destroyed in the bombing of of the city by the Allies. It makes you wonder how many Uyghurs today know their history with regards to Buddhism and would they consider converting back?